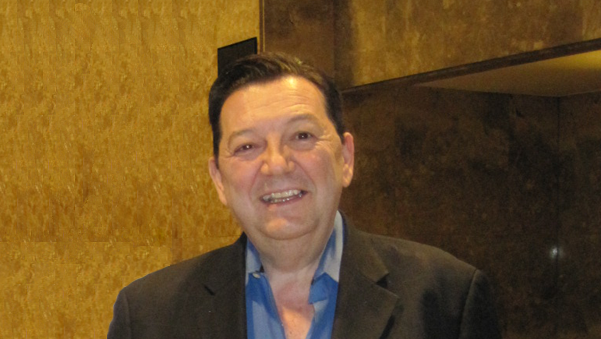 The Scientific Coordinator of the Congress was Dr. Agustin Legido, Neuropaediatrician of St.Christopher ‘s Children’s Hospital in Philadelphia, with whom the Spanish Association of Neuropathic Pain has had an extensive interview to learn about scientific news about Autism and childhood epilepsy. These experts have pointed out that one cannot speak about Autism. “We should talk about different TYPES of Autism” say these doctors. Depending on the cause of each of the DIFFERENT types of autism, treatments may be completely different. So, there are children who suffer autism spectrum disorders (ASD), which are processes which share an impaired reciprocal social interaction, abnormal patterns in verbal and non verbal language. Under this unitary concept there are multiple neurodevelopment defects, which create a spectrum of clinical manifestations and evolutionary diverse ranging from serious forms of autism to unspecific disorders of the reciprocal social interaction. Therefore, Dr. Legido states that there may be children who are within this spectrum for many different reasons. And these causes can be known or unknown. And, depending on the cause, these children will evolve in one way or another. “For example, some children are affected by this disorder because at birth there has been a small injury or trauma. There are other cases where it is known that this disease may develop because the mother suffered during pregnancy from any type of infection which was not treated and this had consequences on the baby’s brain, or we have also found out that the cause may be genetic”, says the Doctor. That is, autisms are all different and, therefore, depending on the cause that has provoked it, the treatments can be totally different to try to address some of the cerebral symptoms and emotional and social behavior which highlight the autism spectrum disorder (ASD). Why did you decide to join today two diseases such as West syndrome and different types of autism? These are diseases with respective prevalence of 5.8 to 7.1 per thousand children. It is estimated that 30% of patients with epilepsy suffer from autism or other forms of intellectual disability or neurodevelopment problems. And, in parallel, 30% of patients with autism can develop epilepsy throughout their life. From which it follows that there is a high association between childhood epilepsy, autism and intellectual disabilities and, therefore, these diseases may have a common pathophysiological mechanism, as explained by Dr. Alfons Macaya of The University Maternal and Child Hospital Vall d’ Hebron from Barcelona. Why is the specialty of endocrinology given so much importance this year? This year, I considered it vital that an endocrinologist would come such as Dr. Francesco DeLuca -a pediatric endocrinologist at Children’s Hospital St.Christopher’s, in Philadelphia, Pennsylvania (USA)- because there are a large number of chemical messengers in the brain, which are neuropeptides, hormones and type-hormone that, together with neurotransmitters such as serotonin, dopamine and norepinephrine, facilitate the development of different social behaviors during the development of the brain. Therefore, we know that any imbalance alteration in these processes of chemical neurotransmission can lead to poor social behavior, which is the symptomatic highlight for autism spectrum disorders. Therefore, Dr. DeLuca states that several hormones in the Endocrine System are directly or indirectly linked to the codification of social behavior through their action in the amygdala, hippocampus and related structures that are involved in different aspects of social development. Among the changes that this Doctor has found in this condition we find alterations of high levels in the production of cortisol, altered oxytocin in the vasopressin (AVP) -usually known as the antidiuretic hormone-, low levels of melatonin (which induces sleep), secretin (a hormone produced by cells lining in the small intestine mucose) and other endocrine disruptors. We don’t have to forget that in the West Syndrome (infantile epilepsy), the treatment is a hormone called ACTH, produced by the pituitary gland, which controls the secretion of corticosteroids by the adrenals glands. And, at the same time, it has been shown that a number of hormones which have been mentioned before (Oxytocin, Vasopressin, Cortisol …) which are secreted in the pituitary gland and control the social and emotional aspects in different types of children with autism. And, perhaps, the balance of the production of these hormones could help improve in autism the social aspect and behavior. What is the latest research from the endocrine point of view in these conditions? As one of the great innovations we come to the studies from the physiologist Jesus Devesa, of the University of Santiago de Compostela (La Coruña). Doctor Devesa has an extensive experience and has fulfilled with his team studies of great value to this specialty. In fact, he had a family member who suffered from a serious head injury and, based on his studies, he decided to treat him with the growth hormone (GH). Indeed, this child had a very impressive recovery. But we must not forget that the child -before the trauma-was a healthy child. But what we do know is that experimentally today we have found that the human growth hormone (GH) plays an important neuroprotective effect. However, the novelty of Dr. Devesa is that there is a close relationship between the auto- endocrine system and the nervous system. That is, the functioning of the nervous system triggers the signals sent by it. And the same occurs backwards. The nervous system regulates the type of chemical signals which at a given moment will occur to establish a hormonal response. Based on this knowledge, it is clear that there is a link between the endocrine system (neurotransmitters) and the Nervous System. The failure of this balance leads to the pathology and the development of autism spectrum disorders (ASD). And all these protein hormones are produced in certain glands such as the pituitary. Hormones are proteins and are produced by joining amino acids. Some amino acids are peptides which are found in the growth hormone and behave similarly to insulin. Data from these studies suggest that the N-terminal tripeptide IGF-1 (GPE for short) which is the set of three amino acids-can be an effective treatment to repair brain damage to act through the induction of proliferation and migration of reparative neural stem cells. Its mechanism of action may be similar to the growth hormone (GH) and also the GPE seems to lack the side effects that could arise from the time by the growth hormone (GH), says this expert. Another advantage of GPE is that it is a very small peptide which may facilitate its entry into the blood brain barrier, which would modify the function and state of the brain. For now, there is a Pharmaceutical company working on this active ingredient in this modified GPE whose brand name is Trofinetide, capable of being absorbed orally. So far, studies are hopeful because the modified GPE could help in correcting four common pathological biomarkers to most of the processes that occur with brain damage: inflammation, over-activation of microglia, synaptic dysfunction and decreased brain levels of IGF1. The modified GPE would work to restore normal brain function. Devesa´s theory is shared by Dr. Raili Riikonen, Neuropaediatrician in Children’s Hospital, Kuopio, Finland, who has provided for the first time the results of their studies with this hormone in animal models affected by Rett syndrome (RS) and Pehlan – Mcdermid Syndrome, with positive results so far. These results open the way for research in this area. We know that the most interesting treatments are those that have the smaller peptides and which can cross the blood brain barrier. There is enough information to perform these studies in children with autism which should be supplemented by psychological studies before and after treatment to analyze social changes in behavior. There are different types of autism depending on the cause. How can you diagnose these diseases? In addition to the clinic, there are two basic tests that Neuro-radiologists point out. The first is the three Tesla (3T) high resolution cranial scan, which provides completely different information to the 1.5 Tesla (1.5T) scan. We must also make an electroencephalogram and Positron Emission Tomography (PET). And something very important of course, is the physical examination required from the Neuropaediatrician. 80% of the examination to be performed by a pediatric neurologist is physical. We must examine the child. Take off their clothes, examine their skin and palpate the liver and spleen. Examine their skin, because certain injuries can help to detect on time a disease that affects the skin and central nervous system (CNS). And, study the liver and spleen because these are the organs which reflect the storage diseases such as Gaucher’s disease and other metabolic diseases. We advise parents that all these clinical studies should be performed. Above all, we insist that parents require a 3 Tesla MRI because the results are completely different from those obtained with 1.5 Tesla -that are commonly performed in the national health system of this country-. Many neuro-radiologists have shown that in the resonances of 1.5 Teslas NO abnormal images are displayed, while in high resolution 3T cortical dysplasias have been discovered. Also, of course, please make full genetic studies because we already have knowledge that genes and chromosomes may be altered in many of these cases. Which studies are being performed on cellular dysfunction? It is known that some children with autism have genetic causes and we have already identified many of these genes. With the new techniques in Genetics, genes can be studied and chromosomes can be altered thanks to Microarray. There are altered genes and there are global banks that are collecting these alterations of Microarray. Increasingly different causes of autism are discovered. In this regard, there is a group of clinical researchers in Canada who have discovered altered genes in some children affected by this disorder. They realized that by studying all the genetic exome they saw many more genes involved. We are already identifying them. In cases where the cause of the autistic spectrum (ASD) is genetic, it is recommended to the parents to have a genetic study. You must know whether it is a new or inherited mutation. And this can already be known because the entire human genome is already synthesized. In addition, this knowledge gives to couples who want to have another child the chance because through the genetic study there is access to genetic selection and, in these cases, prevent another child from suffering from this type of autism. How do you see the future of our society? In the future, a large part of our adult society will be patients with Alzheimer’s and the other part will be adults with some form of autism, because the incidence of autism is growing at an alarming rate. The prevalence figures in the US that we handle shed that 1 in every 68 children suffer from any type of autism. I see 4 children affected by this disorder per week when 10 years ago we only saw 1 child per month. What other studies are being carried out in your hospital? We have found that some of the children who suffer from this pathology also, in many cases, have mitochondrial disorders. Specifically, in our study of a sample of 92 children affected by some form of ASD, 42% had a mitochondrial dysfunction. The Mitochondria is the part of the cell that provides energy to the brain. And now, we are making all the studies of mitochondrial alterations. With these findings we will conduct a second study and to this sample of 42% of children suffering from mitochondrial alterations will be given antioxidants. Specifically three: Enzyme Q.10, Carnitine and Lipoic Acid. We know that these three compounds facilitate the correct behavior of the mitochondria and we expect the mitochondrial alterations to hopefully improve, but we don’t know if they will clinically or biochemically. Therefore, we hope that in these particular cases the brain function improves. Mitochondrias are linked to the autoimmune system. And all of this is what we are currently investigating. How do the recent developments in your brain studies progress? So far, all neurologists and neuropediatricians were very concerned with neuronal function and the correct connection between neurons. But there are many more cells in the brain apart from neurons. We now know that the cells of the central nervous system (CNS) typically fall into two broad categories. The first category of Neuroectodermal origin: Neurons, Astrocytes, Oligodendrocytes, and Ependymal cells. The second category of Mesenquematose origin: Meninges, Blood vessels, Fat and Microglia. Besides, from the neurofunctional point of view the cells of the Central Nervous System (CNS) are classified into two types: the first group, are neurons and the second group, which are non-neuronal support cells, are Oligodendrocytes, Astrocytes and Microglia. We know that the function of each of these non-neuronal cells is also to control the behavior of the autoimmune system and, therefore any change in them may cause inflammation in the brain and impairment of the brain function and resulting some form of Autism Spectrum Disorder (ASD). Then, besides all the genetic studies, physical studies and the aforementioned image in three Tesla MRI and PET study, autoimmune studies related to Non-neuronal cells should be carried out. Our studies in our Hospital in the US are about this because, if we find the cause of each of the different types of autism, we can talk about possible treatments for each of these disorders and eliminate the word: AUTISM, which I do not like to say. Scientists have to fight for each child to be studied individually. When a mother takes her child to a Neuropaediatrician she must know where she is taking him and she should ask the clinician about all the diagnosis tests to find out what type of autism her child suffers from. It is easy to put in the drawer of AUTISM all the children who have not been properly investigated to exhaust all possible causes of the disease (at least all known so far). Doctor Agustin Legido, How do you select experts who work with you in the investigations that are currently being done? The selection is based on several aspects. I choose professionals who have good scientific quality, doctors who participated in scientific tests in their working groups and who demonstrate their results. And besides, I demand that these clinical leaders have humanity and are not simply scholars. They must have communication skills to pass on their knowledge to other physicians. In our country there are people who say that Associations of Patients don’t have a future, what do you think about this? Patients’ associations have a moral obligation to always inform society. In the United States it is common for physicians and Patient Associations to work hand in hand, because they are required to by Society. It is an obligation of all clinicians to help Patient Associations. What happens in Spain is that, unfortunately, there are many well accommodated-clinicians, as in this country they aren’t required to renew their training certification to let you keep practicing as Head of Department in a Hospital. However in the United States you must pass examinations and training every three years and the demands of society are continuous… If you do not pass your exams four years later you are fired!!! Here, in Spain, this is unthinkable. Therefore, Patient Associations and Foundations in Spain will have to keep working and pushing the state to recognize their role. And they won’t stop fighting for survival. Doctor Agustin Legido takes part of the International Scientific Committee of the Spanish Association of Patients with Neuropathic Pain. Interview in honor of Alonso S.H., our family member with Autism.